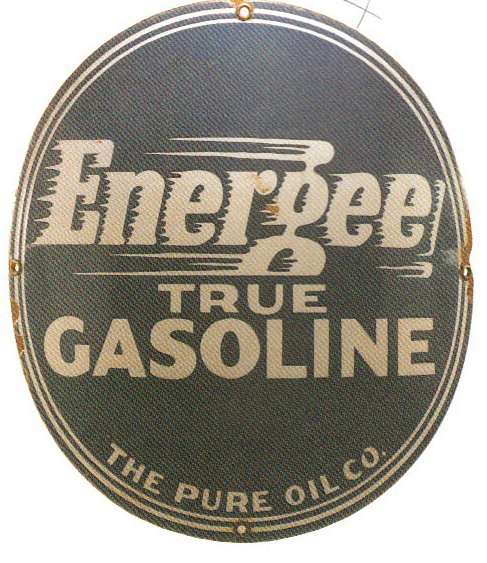 This is an oval Energee Gasoline porcelain sign. This particular Energee Gasoline sign is blue with white text. It reads, “Energee True Gasoline, The Pure Oil Co.” and features a thin, white, double-line border.